The Aquarium of the Pacific presents Night Dive, an adults-only event featuring live performances, hands-on science activities, lectures, and other special programming, and food and drink for an 18-and-over crowd. 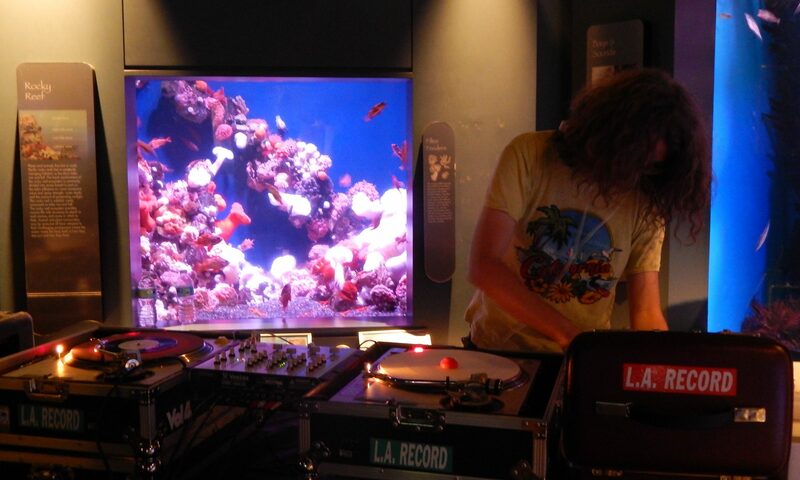 Discover the Aquarium at night, and explore its galleries in a new way, with DJs and local artists creating an eclectic ambiance. Live bands take the stage in front of the Honda Blue Cavern turning the Great Hall into Long Beach’s unique music venue.